Hold Music Not Captivating You? Who doesn’t love being on hold? The hours wasted, the subtle reinforcement that perhaps your call isn’t important and, of course, the glorious hold music. A truly captivating experience. 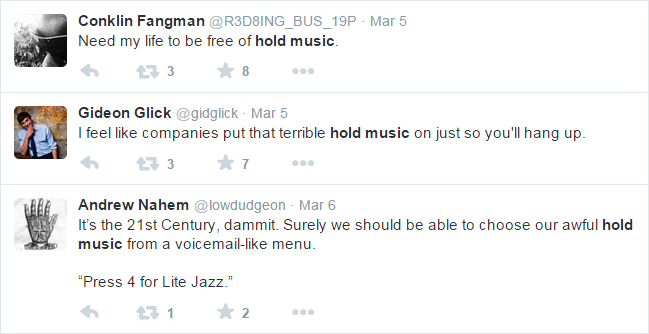 What’s not to love about hold music? Take your least favourite smooth jazz, top 40, or Chipmunks medley, then compress and downsample it to 8 kHz and a low bit rate optimized for voice transport (meaning the highs & lows are filtered out), and you get an experience akin to listening to Kenny G, Katy Perry, or Alvin, Theodore & Simon inside a cardboard box. Of course things pick up during the holiday season (‘Mariah Carey season’, as I like to call it), when companies let loose with the music a little. All joking aside, there are numerous studies showing that entertaining callers with the right music, news, etc. 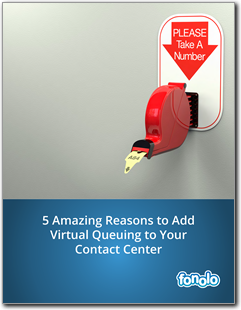 while they wait reduces the anxiety of being on hold, resulting in a decrease in abandoned calls – something that’s good for callers and call centers alike. 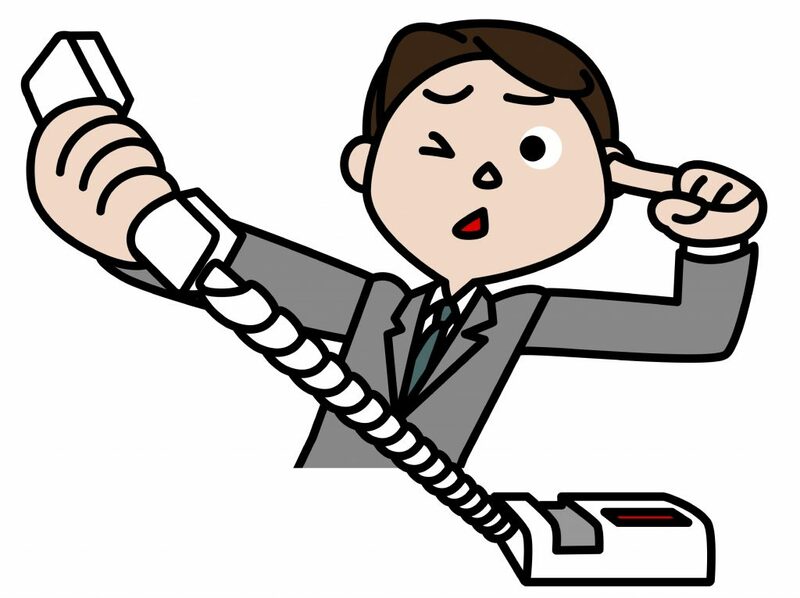 However there is a limit to a caller’s patience, beyond which no amount of targeted audio programming can help. So what’s a better solution? Not putting callers on hold in the first place. Or, offering to call them back when an agent is free, so they’re not stuck on the phone. Call-backs allow companies to eliminate the frustration of waiting on hold for callers, the result of which is fewer abandoned calls (by 37%, in this case study) and an overall increase in customer satisfaction. Best of all, call-back solutions (like Fonolo) can be put in place very quickly (in as little as a few days), allowing for an immediate solution to the problem of long hold times. Call-backs can be an invaluable tool, allowing you to make other changes inside the call center, confident that the customer experience won’t be materially affected. If you truly value relationships with your customers, don’t keep them #onholdwith you.